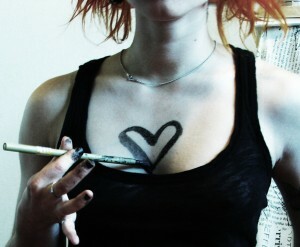 Home » Victoria’s Blog » Essays » What Does it Mean to “Love Myself”? What Does it Mean to “Love Myself”? “Love yourself!” “Nurture yourself!” These suggestions seem to be everywhere, in magazines, on the radio and on innumerable talk shows. What does it actually mean and why should any of us bother? One of my favorite philosophers, Ken Wilber says the most important part of the self you will develop is your “self sense”. It’s this “self sense” that we use to navigate the river of life. The time and attention that we give to developing a strong, healthy, self respecting “self sense” is what self love and self nurturing are. In all of the years we spend in school no one teaches a course on how to develop and maintain self esteem. For many of us it is the reason we seek out counseling, therapy or life coaching. We need someone to help us create a structure that cultivates the qualities that we want to experience within ourselves. The qualities we need to navigate the river of our own life. Here are some simple awareness exercises that you can explore. They will begin to help you develop self awareness and self respect, the corner stones of self love. Is what I am saying to myself kind? Is what I am saying supportive? Does my self talk raise or lower my sense of self worth? Would I talk to a child, a friend, or a lover this way? Rewrite your self talk. Be respectful, kind, considerate and supportive when you talk to yourself. Speak to yourself the way you would want others to speak to you. Make it your business to correct you negative self talk. Listen for it, catch it and reframe your statements to yourself. We all function better when people are giving us positive feedback and supportive comments. Do this for yourself! So many of us are self critical, we have a long list of our short comings and yet very few of us can name what is right about ourselves. Make a list of what you like about yourself. Keep adding to it as you think of new things. These may seem like simple exercises… however, knowing that you do like things about yourself helps to balance out the critical self talk. Reframing how we speak to ourselves changes how we feel about ourselves. Lasting change happens from the inside out. Learning to talk to yourself in positive ways will change how you feel about yourself. This is “self love” in action. Feel free to write to me with any questions you may have or to share an experience.